Halloween night - Haddonfield, IL. A young boy butchers his older sister with a kitchen knife. 15 years later, he escapes from a mental institution only to return home and terrorize the town, including babysitter Laurie Strode. Now pursued by Dr. Loomis, the doctor who tried to treat him until he realized that what was living behind that boy's eyes was purely and simply... evil . His name is Michael Myers. Rob Zombie's Halloween and Halloween II. Brand new, never before seen bonus features including new interviews with cast and crew, commentaries, behind the scenes documentaries, and so much more. Plus, the NEVER BEFORE RELEASED Producer s Cut of Halloween 6: The Curse of Michael Myers! 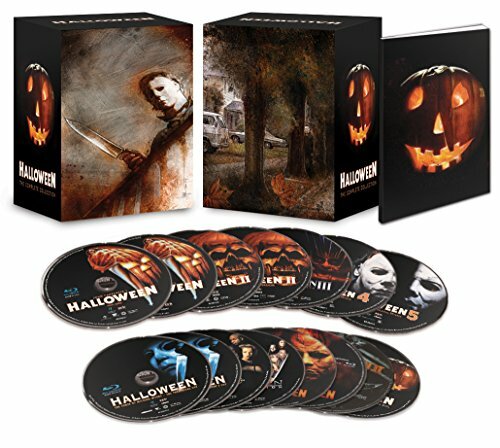 The set also features both Blu-ray versions of Halloween as well as the Network TV versions of Halloween and Halloween 2. Here it is, the one that started it all Halloween: The Complete Collection.